The New Jersey Supreme Court has been asked to reconsider last year’s decision to deny centralization of all cases before one judge as part of a multi-county litigation (MCL). 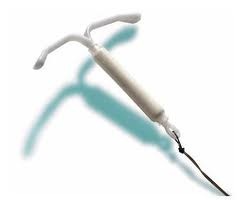 Mirena is a birth control device manufactured by Bayer Corporation. The problem with Mirena is that the device can puncture the uterus, causing bleeding, inflammation, and infection, which can all cause serious consequences to a woman and her reproductive organs. In some women, a surgery known as laparoscopy is required to remove the IUD, which can become embedded in the uterine wall. It can also lead to Pelvic Inflammatory Disease (PID), which is a specific infection of the reproductive organs. It can cause infertility, ectopic pregnancy, abscesses, and permanent pelvic pain. In August 2012, a request was filed by Bayer to centralize the Mirena litigation in New Jersey state court. At that time, there were at least 16 lawsuits already pending. Now, as the number of Mirena IUD lawsuits continues to grow, the state’s Supreme Court is being asked to reconsider their decision to deny centralization of the cases. This renewed request comes at the same time as the U.S. Judicial Panel on Multidistrict Litigation is currently considering whether to order similar consolidated proceedings at the federal court level, as dozens of federal lawsuits have been filed as well. Consolidation is more common in complex pharmaceutical litigation in the federal court where they see a large number of claims brought involving the same or similar products. Mirena lawyers have suggested that hundreds, if not thousands of suits are likely to be filed against Bayer in courts throughout the country. Oral arguments on the centralization in federal court were heard on March 21st. While Bayer supports centralization of the New Jersey state court litigation, they are opposed to the formation of a federal Mirena MDL, as they claim it would prejudice their ability to defend several lawsuits that are already close to trial. A decision is expected later this week at the federal level. The next month or so will be interesting to watch. It will be interesting to see if the cases are consolidated and interesting to see if Bayer is willing to start settling some of these cases in the months to come.